He intended to be a lawyer and received his right to practice in 1791, but a year later joined the 7th Volunteers as a Captain. He was elected lieutenant colonel in the Army of the Rhine on 5 September 1792 and he fought in numerous battles, including the Battle of Hondschoote (7 September 1793) and the Battle of Wattignies (16 October 1793). He then fought in the Low Countries as a part of General Jourdan’s Armée la Sambre et Meuse, and was injured severely in the thigh at Sprimont. After leaving the hospital, Morand joined Bernadotte’s 10th division and fought at the Battle of Ourthe (18 September 1794), in the Battle of Aldenhoven (2 October 1794), the Capture of Kreutznach (1 December 1795), at the heights of Koenigstein (26 July 1796) and at the Battle of Teining (22 August 1796). Still with Bernadotte, Morand joined the Army of Italy in January 1797, which then left for Napoleon’s Egyptian campaign. In Egypt, he fought in the Battle of the Pyramids as Chef de Brigade under Louis Desaix. He gained recognition for battles at Girgeh (April 6, 1799), El Ganaim and especially Samanhoud (12 August 1799). After Samanhoud, Morand replaced Friant, who was promoted to temporary division commander, as adjudant general chief of brigade and governor of the province of Girgeh. Morand was promoted to Général de Brigade on 6 September 1800. Morand returned to France in 1801 and was attached to the camp at Saint-Omer. Morand fought in Soult’s IV Corps at the Battle of Austerlitz, where he was wounded. 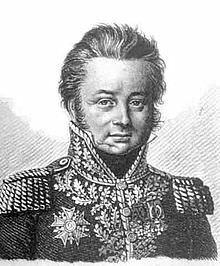 He was promoted to Général de Division on 24 December 1805 and on 14 February 1806 he replaced Caffarelli as commander of the 1st Division of Davout’s III Corps. He commanded the division until 1813. In October 1806, Morand commanded his division at the Battle of Jena-Auerstedt, where he performed well and was injured in the arm. He was injured again at the Battle of Eylau. In 1807 he was made a grand oficier of the Legion of Honor. In 1808 that year he married Emilienne (Emilia Lucja) Parys, daughter of the Count of Parys in Warsaw with Davout present. He was named Comte de l’Empire later that year. In 1809 he fought in the Five Days Campaign under Lannes, fighting at Abensberg, Landshut, and Eckmühl on 20–22 April. Back with the III Corps, he fought at Wagram. In 1810, Morand was appointed governor general of the Hanseatic cities as part of the Army of Germany. He had trouble with Davout, who was his commander, and asked to be transferred. Napoleon did not transfer him. Morand held a command in the I Corps and participated in the Napoleon’s Invasion of Russia, crossing the Niemen River in June 1812. He fought at Smolensk and had his jaw smashed at the Battle of Borodino. He joined the retreat from Russia, and later distinguished himself at the battles of Lutzen, Bautzen, Dennewitz, Hanau, and Hochheim in the War of the Sixth Coalition as the Allies defeated Napoleon. He took command of the IV Corps from Bertrand on 13 November 1813. He led the defense of Mainz in December 1813 to April 1814, then retreated to Fontainebleau as Napoleon abdicated. He was made a Knight of St. Louis by the restored King Louis XVIII but rejoined Napoleon during The Hundred Days. 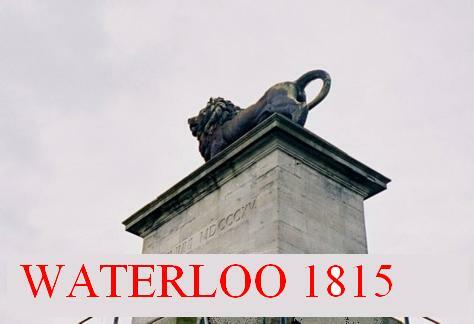 He was a Général de Division of the Chasseur division at the Battle of Waterloo.